Bank staff said their hands were tied. With cash running out, several banks — both government and private — had to turn away customers on Friday even before lunch time. Others decided to opt for rationed disbursement so they could serve as many customers as possible. Dev Sahu, standing in queue at the IndusInd Bank ATM at Kalkaji, said he had been turned away from the bank two days in a row. “I came at 11 am yesterday but they sent me back saying cash would come at 2 pm. When I came back in the afternoon, the money was over. The same thing happened today, and now the weekend is here. I had to withdraw Rs 24,000 to pay people’s wages, but now I’ll just manage with whatever I get from the ATM,” he said. But bank staff said their hands were tied. “We have been facing a cash crunch for the last two days because there isn’t enough money coming to us. We would earlier get Rs 40-50 lakh in a day, but now we are getting Rs 12-13 lakh, of which half has to be put in the ATMs, so we run out of cash fast. We’re mostly handing out Rs 2,000 notes because there’s a shortage of Rs 100 and Rs 50 notes,” Kalkaji deputy branch manager of IndusInd Bank, Pratiksha Agrahari, said. Similar scenes were witnessed at Axis Bank at Noida Sector 16 and Kotak Mahindra Bank at Nehru Place. Shambhu Prasad Singh, who works as a security guard in Noida, said he had been unable to withdraw money for the last four days. 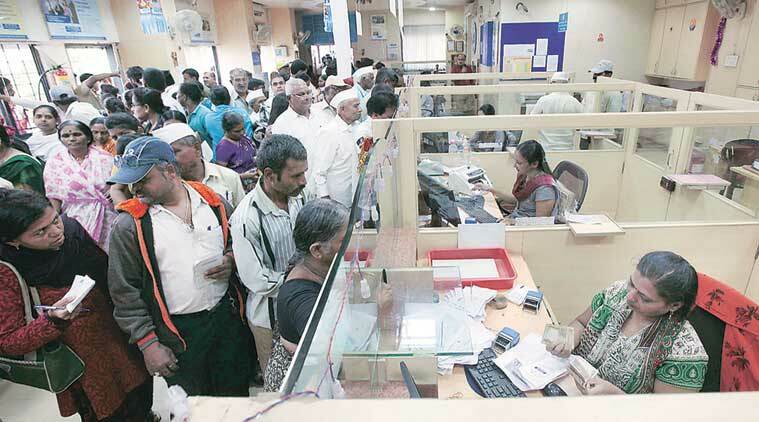 Some banks, meanwhile, decided to disburse a smaller amount to each customer. “We don’t have enough cash for everyone so we have made one of our guards stand in queue. We will not serve anyone after him in the line. Those before him will not be able to withdraw more than Rs 10,000 — that too mostly in Rs 10 or Rs 20 notes,” said Amit Tyagi, Citibank branch manager at Nehru Place. A teacher who went to withdraw money from the State Bank of India counter at Kamla Nehru College claimed that each person was allowed to take out only Rs 2,000. “Of the Rs 2,000 which I got, Rs 1,000 was given in Rs 10 coins, and the rest in Rs 10 notes,” the teacher claimed.